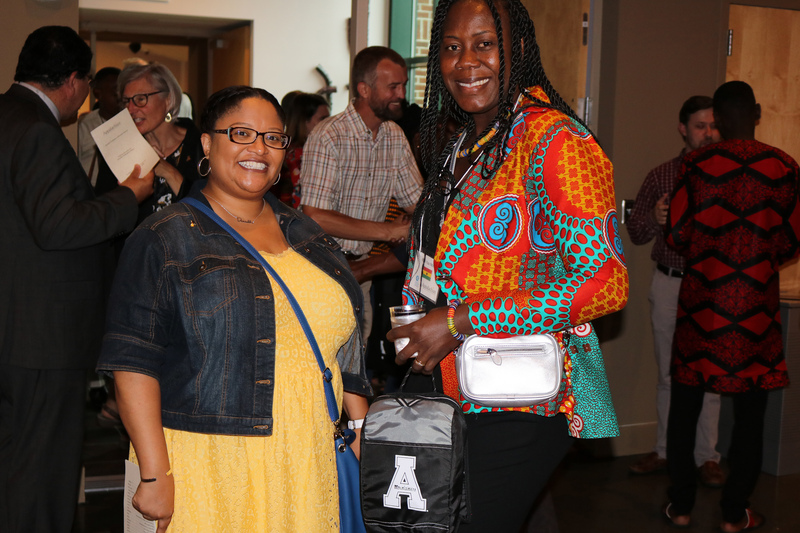 Appalachian State University held a welcome reception June 21 for the 2018 Mandela Washington Fellows — 25 young African leaders. 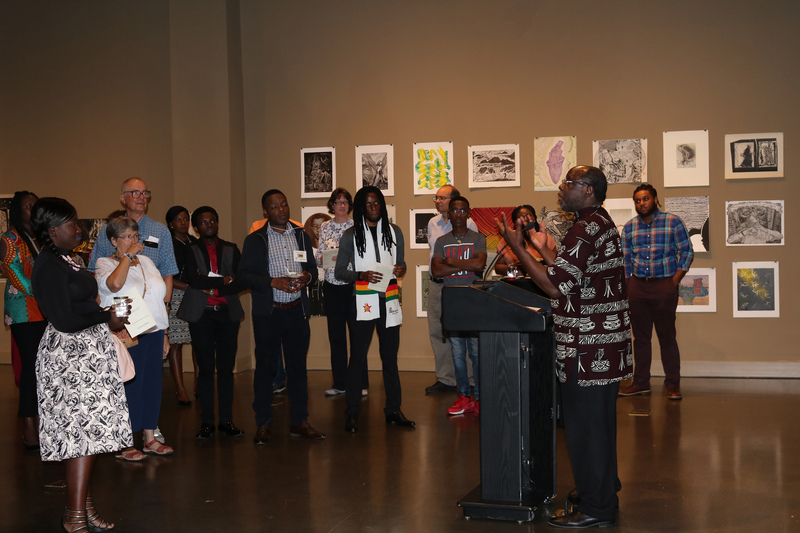 The reception, held at Appalachian’s Turchin Center for the Visual Arts, marked the start of a six-week 2018 Mandela Washington Fellowship Institute focused on civic leadership. 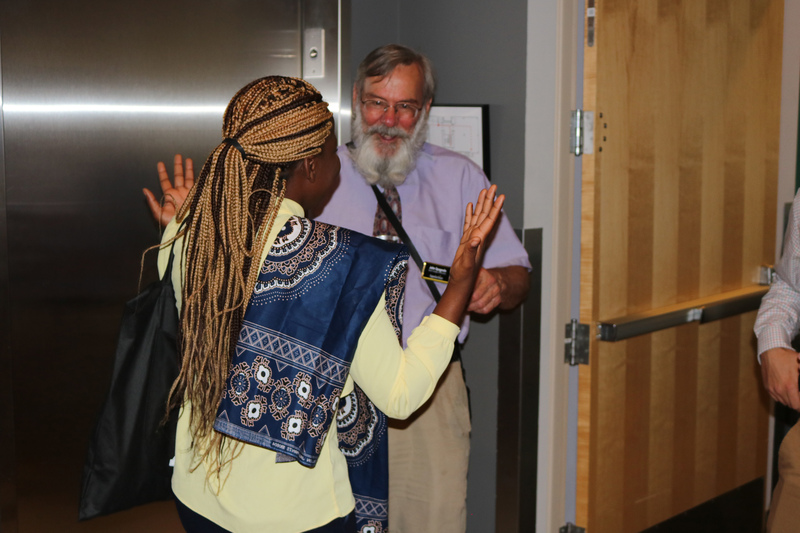 The fellows were welcomed at the reception by members of the Appalachian campus and local community as well as host families. The Mandela Washington Fellowship, the flagship program of the Young African Leaders Initiative(YALI), was created to empower young African leaders through academic coursework, leadership training, mentoring, networking, professional opportunities and local community engagement. One of the fellows, Kapenangutjiua Vetira, from Namibia, also spoke at the reception and shared her story. 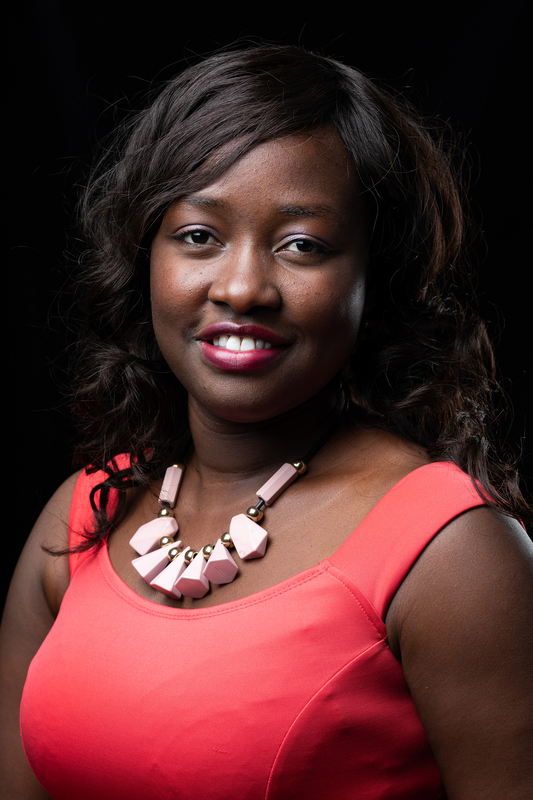 She is the founder/director of ChiNamibia Arts Education for Development, a nonprofit organization founded in 2013 that educates, develops and empowers children and young people through arts and culture. Workshops on U.S. culture, grant writing, use of technology, social entrepreneurship and more. Visits to Grandfather Mountain, Linville Caverns and Falls, Horn in the West and the NASCAR Hall of Fame. A four-day trip to Greensboro and Raleigh to visit with state government representatives and important cultural sites such as the International Civil Rights Center and Museum. Volunteer days with local organizations, including Hospitality House, Hunger and Health Coalition, F.A.R.M Cafe, Watauga County Habitat for Humanity, and Crossnore School and Children’s Home. Networking sessions with a group of young leaders in the Watauga/Boone area and various members of the Blue Ridge Women in Agriculture. A homestay experience with host families for a weekend. The fellows hosted by Appalachian are part of a larger group of 700 Mandela Washington Fellows hosted at 27 institutions across the United States this summer. According to Lutabingwa, the number of fellows and institutes is down from previous years due to budget cuts at the U.S. Department of State. At the end of their stay at their individual institutes, the fellows will meet in Washington, D.C. for the fifth annual Mandela Washington Fellowship Summit, where they will take part in networking and panel discussions with U.S. leaders from the public, private and nonprofit sectors. Following the summit, 100 fellows will participate in six weeks of professional development training at U.S. nongovernmental organizations, private companies and government agencies. The Mandela Washington Fellowship for Young African Leaders is a program of the U.S. Department of State and is administered by International Research and Exchanges Board (IREX). Appalachian and the Community Together (ACT) provides service experiences as opportunities to connect and engage with others to build authentic relationships, stimulate critical thinking and skill building, and recognize individual impact and responsibility to the local and global community. Since 2004, Appalachian State University students have contributed over $22.48 million of value to the community via the ACT program (just over 1.1 million hours of service plus $631,317 funds raised) using the $24.14 per hour national standard for volunteer time. ACT partners with over 160 local non-profits. Initiatives include blood drives, hunger and homeless awareness events, fundraising for local charities and alternative service experiences. Learn more at https://act.appstate.edu.